Last edited by gavin eisler; 04/03/19 12:16 am. Yeah, it's a Dunlop rim. I don't know the unfortunate story of it's mishap, bought it off an auction site a couple of years ago for the brake. you can get the correct GP carbs brand new from Burlen carbs in England. Google Burlen carbs in England & the site will come up for just about any carb or part you're looking for. Unfortunately not. 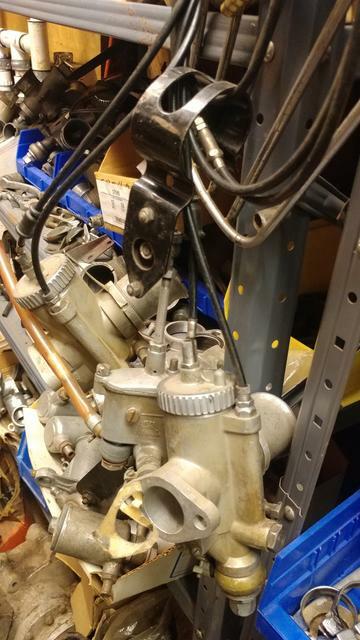 I’m missing a set of jet blocks for mine and the only GP Carbs they make are the GP3’s(not the GP2’s as used on the A65’s) the GP3 being much bigger for the likes of the gold stars. These are just hanging around. This what you need Alan? I need the bracket that clips onto the frame and the mount attached to the rod holding the float bowl. I also need an original plate the zenor diode mounts to under the seat. One last thing - on the '66 they had a plate of some kind the held the battery in place - later models used a rubber strap. I need the plate. I don't really have any A65 stuff since I sold all my Hornet pile. I was going to use these carbs on a Triumph PU Delta head but probably won't get to it. Don't really want to separate the bracket as you can see it's a complete setup. Looks like you have gold dust right there Boomer!! It’d be lovely to have the full kit, but the jet blocks and some decent slides are all I think I’m missing, still holding out hope that Burlen will make a set for the GP2 market. The A50 Daytona had spitfire GP carbs hence me wanting a set. Annoyingly the photos of what I was meant to be buying (parts) showed the jet blocks. But when I collected them I never checked properly so my fault there. 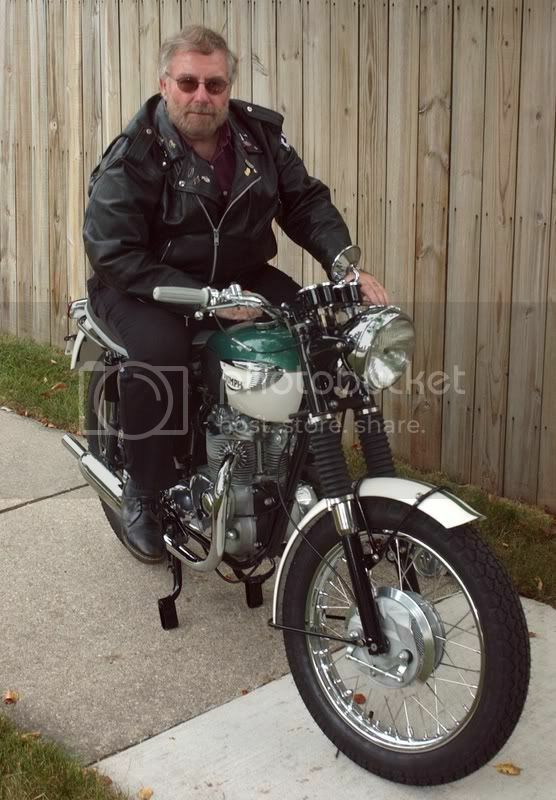 i've had several Triumph's with remote float carbs, one '59 and one '60 Bonneville. 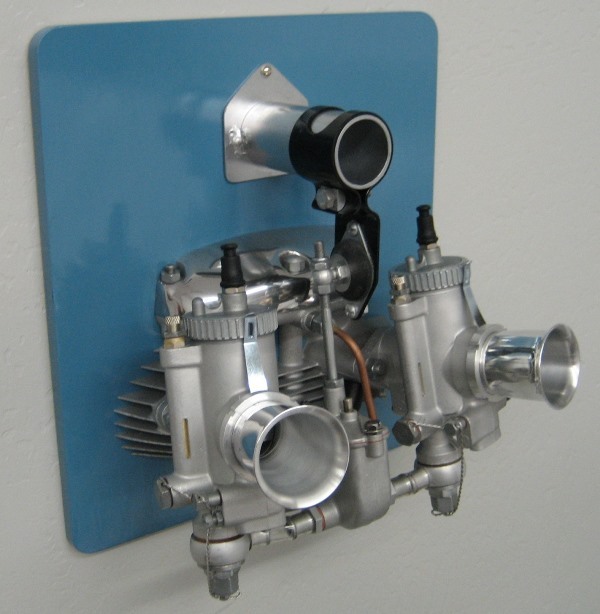 I still have a '51 Triumph with the factory race kit with the dual carb setup and remote float assy. 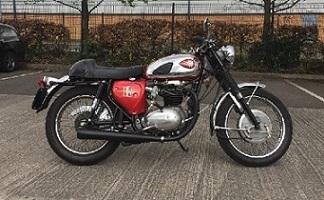 Most Triumph's have the clip going forward from the frame tube that runs vertically from the back of the tank down to the swingarm pivot. The '60 Bonneville suspends the float bowl from the top motor mount if memory serves me correctly. I don't see how you could use that clip on a Triumph frame. The rubber mount attached to the clip is the same as many of the remote float Brit bikes and would be necessary. My reply was to say why I still had the carbs when I don't have any A65 projects at this time and what I might have used them on bracket or not. While I probably don't plan on using them now they will stay together as a complete set. I'm sure you could make one or find someone to fab one for you. Last edited by Allan Gill; 04/09/19 6:11 pm. '68 Mark IV's had Borranis front and rear. My shop wall runs great with the GP's, but a little on the lean side though. 932 Concentrics are correct. Wonder why mine has 930s. It was repatriated from The USA. Currently rebuilding.